I grew up loving all types of seaweed dishes, but Japanese seaweed salad was not introduced to me until the last few years. As many of you might know, they are super pricey and there’s never enough to go around. Last weekend I decided to buy a package of salted seaweed, found a simple salad dressing recipe, hope you guys enjoy! Immerse salted seaweed in warm water, rinse a couple of time, then sit in water for 10 minutes. Mix all ingredients in a small bowl. Drain seaweed when time is up, then pour dressing on top, mix well. 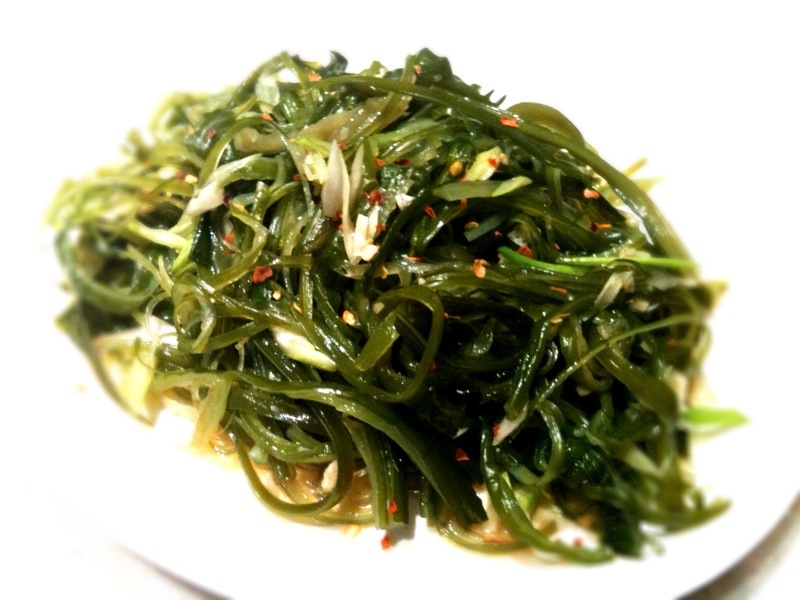 Put the finished seaweed salad into the fridge before serving, so it’s nice and cold!